A scouting look at the Braves prospects who participated in the Braves Future Stars Game on March 27. Here is the key cheat sheet for your minors/reserve rounds. We kick off the 2018 Eyes Have It series by looking at two high school hitters, Nander De Sedas and Will Banfield, likely to go in the first round of the 2018 MLB Draft. This week we look at the top RP prospects with insight on the names who could help you this year. 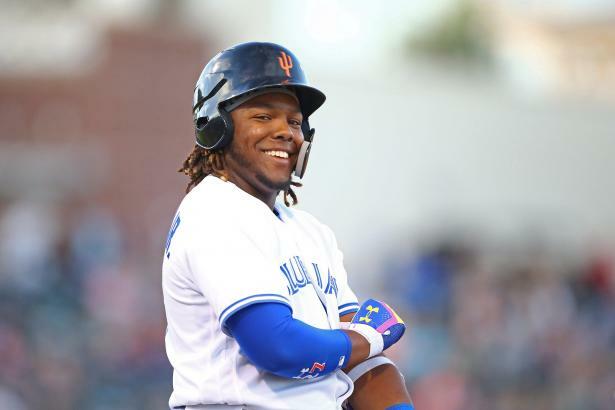 This week we take a look at the top 1B prospects in the minors. Many of the top 1B in the majors started their careers at a different position, but were moved to 1B as a way to get them to the majors more quickly or because they could no longer handle the rigors of a more demanding position. The NCAA Division 1 season opens this weekend. Here's 12 names that could be on MLB teams' top prospect lists one year from now. This week, we take a look at the top second base prospects. This is frequently one of the more difficult positions to rank, in large part because many of the better major league second basemen start off at other positions.